I thought I'd check in with what's been going on in my life lately. Last Friday, Craig and I headed to Bosch Tavern in Hales Corners so he could get a fish fry and I could attempt to find something to eat on their meat heavy menu. While we waited for a table, I admired the gorgeous ceiling. There literally was nothing but fried appetizers on the menu for me to order. Luckily, we had the sweetest waitress who offered to ask for a veggie wrap and proceeded to tell me all of the vegetables I could have in it. I had that with a side of cottage cheese and a Strongbow hard cider. I've been attempting to curl my hair with my flat iron lately. I have watched three or four tutorials on youtube now and I think I am starting to get the hang of it. It just takes practice since I am not good at that sort of thing naturally! 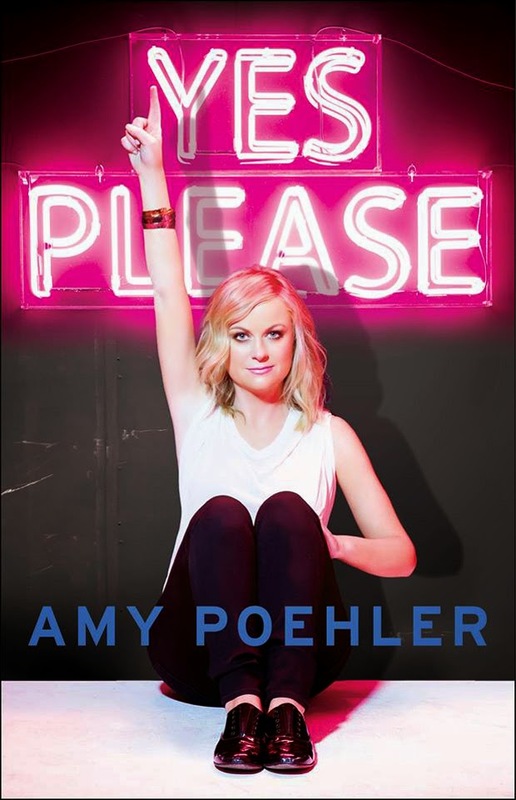 I finished Yes Please by Amy Poehler this week. I rated it three stars on Goodreads, mostly because I got to a point in the book where I didn't feel like reading anymore and there were certain parts that just didn't appeal to me. 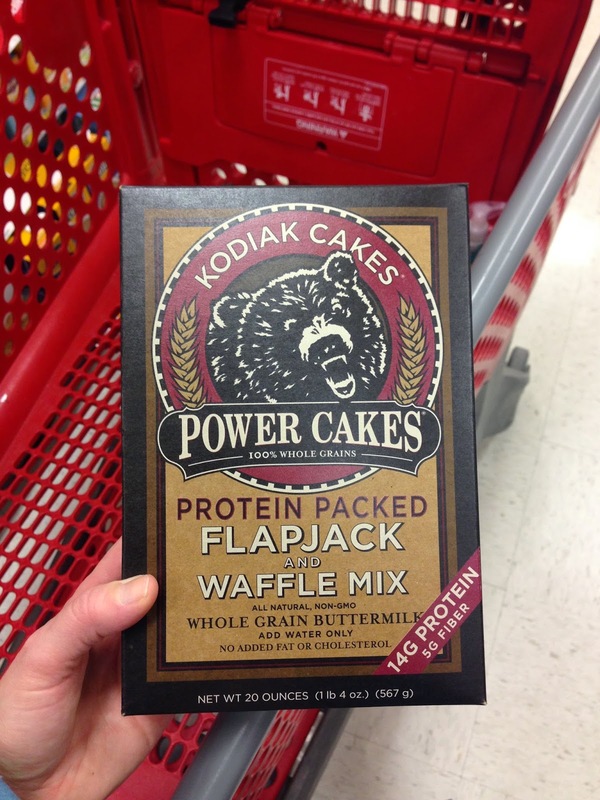 I found protein packed Kodiak cakes at Target and made them last weekend. They kept me full all morning! 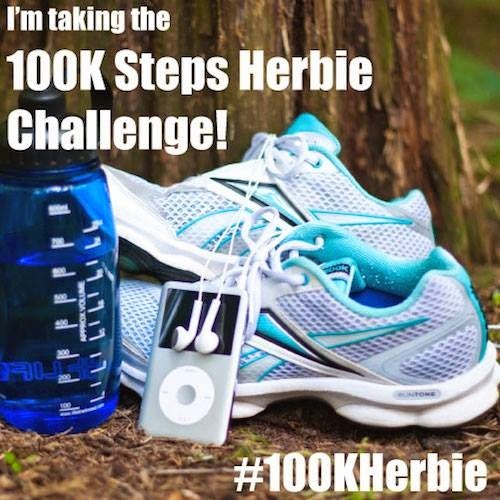 I am still getting used to being without a gym membership, so I decided to sign up for Happy Herbivore's 100K steps challenge in March! I'm using a pedometer to log my steps and just entering them into the Apple Health app to see my totals. I saw the big white/gold, blue/black dress debate on social media before bed last night and I was in the white & gold camp, like my pal grumpy cat. Craig saw blue & black. I can't believe that blew up online the way it did. What colors did you see? I had today off of work and ran a bunch of errands. Since I've lost 13 lbs. in the last few months, I have had to purchase some new items in smaller sizes. I also got my wedding rings inspected and cleaned. Unfortunately, there were two diamonds loose, so I'll go without my rings for the next two weeks. I feel so naked without them. My final errand was to Trader Joe's. I only wanted to pick up two or three items and I left with over $50 worth of groceries. TJ's is becoming the new Target. I can't leave without spending close to $50! I was so happy to see that they now sell shelf stable almond milk without carrageenan in it! I usually buy their refrigerated almond milk, but I like to keep a shelf stable one in our pantry as a backup. We don't have any formal plans for the weekend and I am thankful to have two more whole days off! I need to get started on reading my nutrition CEU material and I plan to watch Ida, which won best Foreign Film (my favorite category) at the Oscars. I think this will be my first time seeing a Polish movie. Too bad Craig isn't really interested in watching it and he's the one with the Polish blood, while I have none. I had the opportunity to fly to Washington D.C. this week and here's a recap of my whirlwind trip for work. It had been about twelve years since I last visited the DC area and I love it there. Twelve years ago, I was not working as a professional in the Museum field, nor had I been to graduate school yet, so I definitely appreciated the Museum visits even more this time around. I had to be at the airport by 6 a.m. on Wednesday and I got breakfast there. 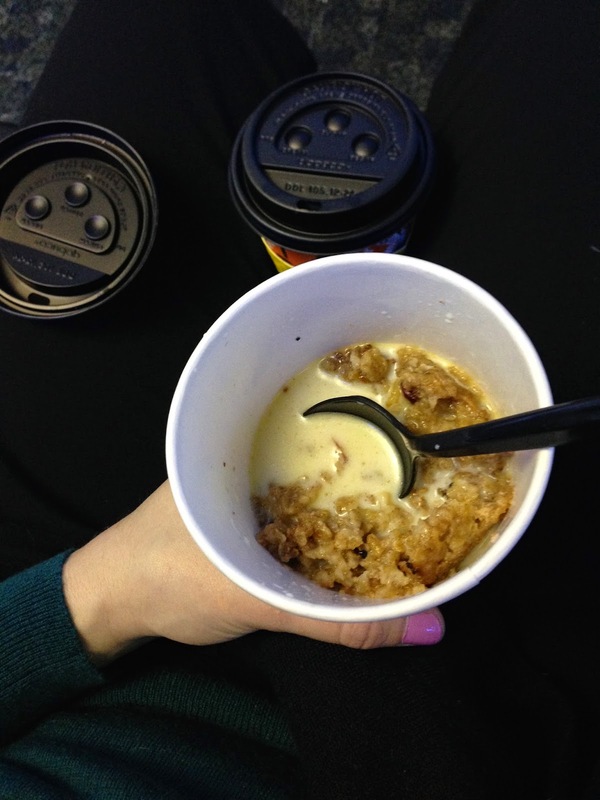 I enjoyed baked oatmeal and a latte from Colectivo coffee. I landed in D.C. at 10:30 and then I waited for a colleague to arrive from Chicago a half hour later. We caught a taxi and made it to our destination by noon. I can't reveal where we went because it's top secret, but we saw what we needed to, I took tons of photos and geeked out, and then we had a yummy lunch. I was happy to find plenty of vegetarian options at the cafe. I ended up with some roasted vegetables, plantains, chickpeas with spinach, rice and black beans and I tried okra for the first time ever! We had a couple more hours to kill before heading back to the airport, so my colleague used his Uber app to call a car to take us to the Smithsonian museums. I had never used Uber before and it was pretty slick! We started out at the Smithsonian Museum of Natural History. Seeing the Hope diamond was required of course. I feel more at home in History and Art museums and I convinced my co-worker to go to the American History museum next door. I really wanted to see their food exhibit, the highlight of which is Julia Child's kitchen! The Julia Child display did not disappoint and neither did the rest of the food exhibit! I was surprised to find so many excellent authentic objects throughout, including her Legion of Honor medal. Her cookbooks were in the kitchen too! I didn't get to see the Capital or White House up close this time. We were close to the Washington Monument though and caught a pretty sun setting before we caught a ride to the airport via Uber. Once we arrived at Ronald Reagan airport, the misadventures began for me. I casually glanced at the departures board and was shocked to see my flight was canceled. I immediately thought that things might work out and that Southwest could possibly get me on another flight that night. My colleague was on another flight and it was still heading out. He kindly walked me to the other end of the airport and I spoke to a Southwest representative about my options. I could go out of Baltimore, Maryland later that night, or take the 7:05 a.m. out the next morning. I parted ways with my colleague and spoke to the nice gentleman at the airport information desk to see how I could possibly get to Baltimore. My panic started to set in then because I was overtired, hungry and not wanting to attempt to get to Baltimore on time via Metro and a bus. The timing was really tight too so there was still a chance I could miss that flight. I gathered all of my info, called Craig to talk things out with him and decided it was best for me to spend the night in D.C. I didn't bring a bag with items to stay the night, because it was supposed to be a day trip. But, I knew that wasn't a big deal in the end. Southwest did not pay for my hotel or offer any meal vouchers because they claimed the cancelation was weather related. There was no weather to speak of in D.C. (a tiny trace of snow fell that night) and it was frigid back in Milwaukee, so I think it was a made up excuse so they didn't have to cover passengers' stays, offer vouchers, etc. I caught a shuttle bus to the hotel and got settled in my room before heading down to the only restaurant on-site. I immediately asked for a beer and the alcohol hit me pretty quickly, probably because I was hungry and exhausted. I tried a local draft beer, Three Brothers, and it was delicious. The only vegetarian menu item was mac and cheese with spinach and sun dried tomatoes. I was starving and it tasted really good and quite rich too. I had to be at the airport super early the next morning. It felt so good to get on a plane and be headed home. It wasn't the trip I expected it to be, but I learned my lesson. From now on, I'll stick to being a smart traveler and bring an extra outfit, eyeglasses, makeup, etc., even for a day trip. I regretted not bringing a few things, but I am trying my best to be a minimalist and not such a worrywart. I was so happy to see Craig's "Welcome Home" sign on our back door and walk in to kiss and hug the kitties! I worked from home on Thursday and got a lot done, despite my exhaustion. Craig has never been to Washington D.C., so I'd love to return with him someday. If you've been to Washington D.C., what did you enjoy seeing there? I really loved Mount Vernon and the Holocaust Museum when I last visited. I have always wanted to go to Monticello too. Here's what my life has looked like lately. On my way to run errands on the East side of Milwaukee. 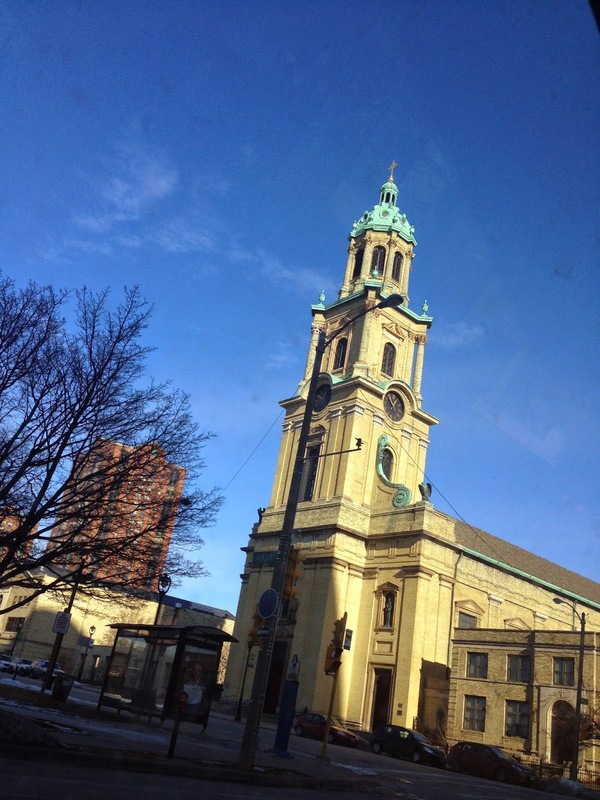 It was a gorgeous winter day. I have a major podcast crush on Zorba Paster. 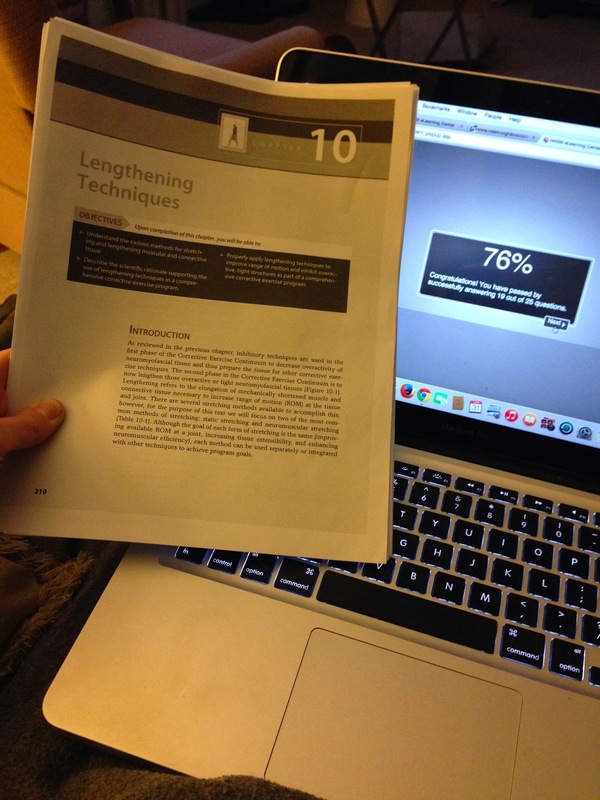 I need to get 2.0 CEUs by November of this year, so I was happy to pass a Neuromuscular Stretching exam last weekend and get 0.4 credits. 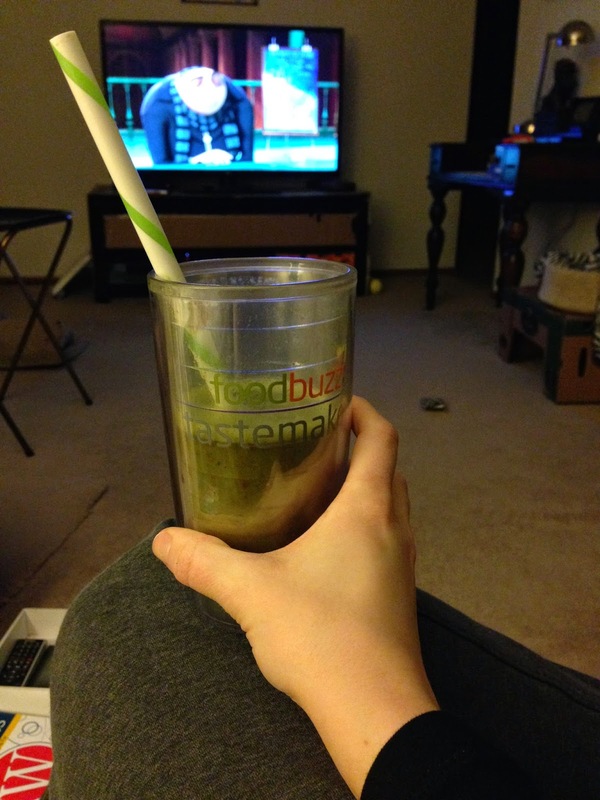 I've been making lots of green smoothies for Craig and I. Gotta get those greens in every day! We went to Greenfield News and Hobby earlier this week and I found a North Point Lighthouse book there. I paged through it to find my 2nd Great Uncle's information. I was surprised to find a picture of my 2nd Great Grandparents as well. My 2nd Great Grandpa was a lighthouse keeper in Wisconsin and Michigan. I packed veggie sandwiches on Angelic Bakehouse bread, carrots and yogurt for most of the work week. Walgreens had candy raisins! I used to eat these when I was a kid and it's totally a Wisconsin thing. 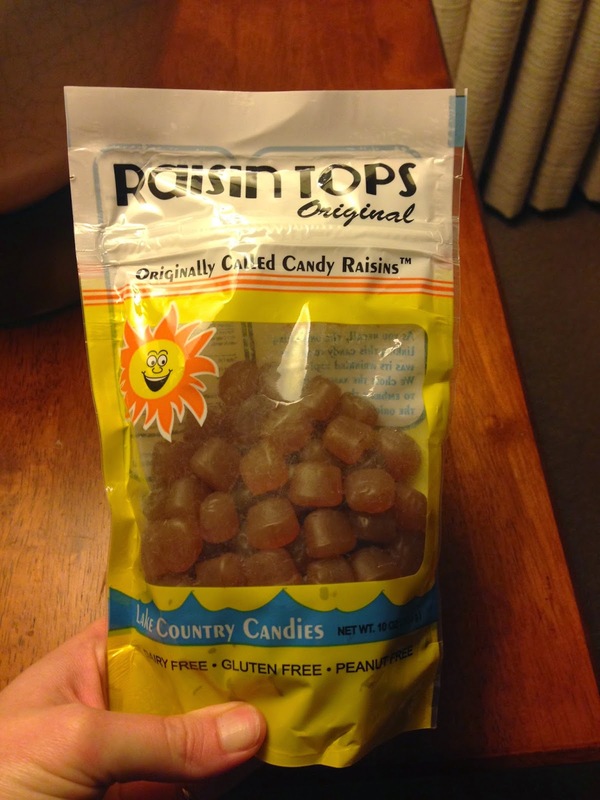 The candy company that made them stopped producing candy raisins a couple of years ago, but now Lake Country Candies resurrected them! Shiva and I bonding after I got home from a stressful doctor's appointment. I'm still waiting for my lab work to come back and discover what's going on with my wacky body. I've been enjoying reading Anne Lamott's Small Victories. Whole Foods had a sale on Siggi's a couple of weeks ago so I stocked up on a few flavors. I really enjoyed having a different type of yogurt to eat. 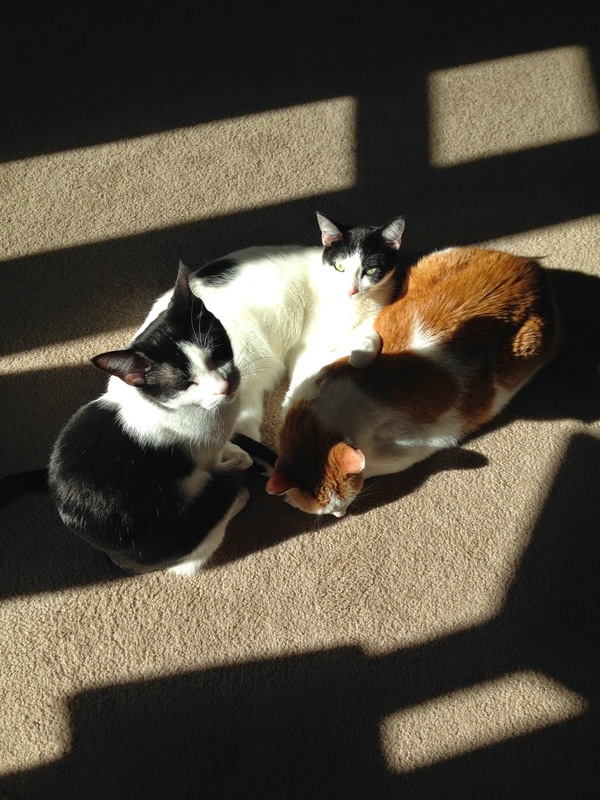 The kitties basking in the sun. We all appreciate getting much needed Vitamin D lately. Enjoyed a delicious and fun brunch with the girls at my friend Kim's today! Her cat Dash was so adorable in this chair that seemed made for him. I can't get enough of listening to Taylor Swift's new CD and I am not ashamed of it. At home workouts just aren't the same as going to the gym. I can't wait for warmer temps to get here so I can get outside more. I'm still going to wait until next winter to join another gym.